If you’ve been dieting and working out but your results could have been better, you might want to take a look at your lifestyle as a whole and make some changes. The further we evolve the more we sit it seems, so trying to get more movement into your everyday life might just give you the edge you need to look the way you want to. But as we get older exercising an hour a day just seems like an inevitable ritual. See, we rarely adjust our calorie norm to the modern mostly sedentary lifestyle. And while eating less is stressful for many people you could try to simply work out more. There is still this notion that working out every day is bad for your body as it needs to recover. And while this is true, exercising less but every day (4-5 times a week, really) can make you feel more energized, less sore, and make you look better. If you split your workouts between 2-3 weight lifting sessions and the same number of cardio sessions (on separate days) a week, you can both maintain muscle mass and low body fat. Make your workouts an hour long and you won’t feel as sore and tired but will get all the best from it. Burning more calories means you can afford those old-fashioned calorie norms all the while working at the office. Of course, if working out less works for you just fine or you have a physically demanding job it’s best to keep it moderate. And as usual, listen to your body. If it tells you that working out more often is not good for you then scale back and find the sweet spot. Also, do low-impact cardio on non-lifting, non-intense days. 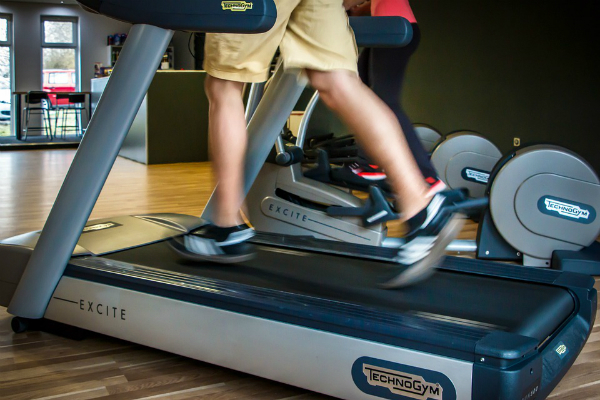 Swim, walk, or get on the elliptical. This entry was posted in News and tagged cardio. Bookmark the permalink.